"We're focused on startups creating disruptive technologies that can change markets and make incremental improvements for our corporate partners," says George Damouny, Partner at Plug and Play Ventures. "We have selected pre-seed to pre-IPO companies working on solutions from operational efficiency and security automation to food safety and augmented realit. We hope to see these companies grow immensely over the next few months through our expansive corporate ecosystem." 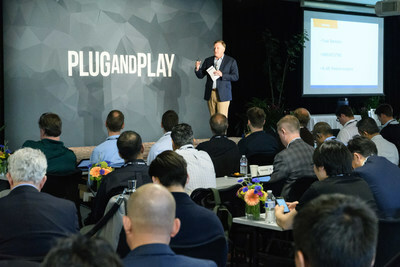 Throughout the next three months, the startups will be immersed in Plug and Play's network. They will be invited to attend mentor sessions, exclusive networking events, and business development matchmaking. Each startup in the batch is also thoroughly reviewed for the possibility of investment. Plug and Play does not take equity for participating in the program but actively invests in a large number of companies every year.